Welcome to the Menifee Chiropractic, We are a VA approved Clinic and Veteran Owned. We can offer Chiropractic Services with a VA Referral for Chiropractic care. If you are a veteran suffering from neck, back or musculoskeletal issues, it is important to know that a few Chiropractors can provide care with a VA referral. There are a significant number of veterans that are in need of Chiropractic treatment today. These veterans may be eligible to obtain care through the VA’s outpatient fee-based program with a referral for Chiropractic care. To be eligible for Chiropractic care, a veteran must obtain a referral from their primary care physician (PCP). Additionally, the department must provide prior authorization for services provided by the outpatient program. If you are interested in receiving a referral, please see your PCP / VA medical doctor at your closest VA medical facility. For further and more detailed information regarding health care and eligibility requirements, please visit http://www.va.gov/healthbenefits. Many veterans are surprised to find that their VA PCP is going over the services provided by a Chiropractic Doctor with them during their appointments. If your PCP has not done this, it is important to introduce the topic yourself and explain to him or her why you feel the services provided by a Chiropractic doctor could benefit you. • You have received these services in the past and they helped you. • You know others who have suffered from a similar condition who have been helped by a Chiropractic physician. • Services offered by chiropractors are part of the VA/DoD guidelines for the treatment of back pain. This includes spinal manipulation. • The services provided by a Chiropractic clinic are included in your standard VA medical benefits. As a result, VA facilities are required to provide these important health benefits. • You would prefer not to take pain medication if it can at all be avoided. • Be aware that some veterans have found their local VA is hesitant to refer them outside of the facility for fee-based care. • In some cases, veterans have been required to jump through hoops in an attempt to obtain a referral. Keep in mind that this contradicts the VA’s mission statement of being “veteran-centered” and is against VA rules. • If your PCP provides you with a referral for fee-based care and you are later denied this referral by someone else at the facility, be sure to follow up with your PCP. It is not unusual for VA facilities to attempt to save money by refusing fee-based care provided by Chiropractic Doctors. • If you feel that you were unfairly denied a referral to a Chiropractic Doctor be sure to make a complaint with patient advocate at your local facility. 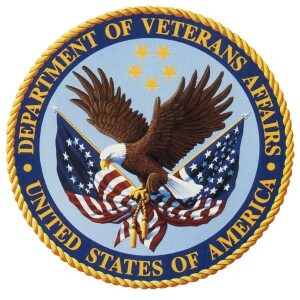 • In addition, you should contact your local Congressman or Senator and make them aware you are being denied access to the care you need and have been promised by the VA.
• If you are still not able to receive the Chiropractic care you need, contact a Veteran’s Service Organization, such as the American Legion, Wounded Warrior Project, or Veterans of Foreign Wars. It is important to make your situation known to improve the chances of a positive change taking place. • To determine healthcare eligibility, the VA assesses several factors including a veteran’s financial status, military service history, and the type/ extent of military injuries.